The consensus around the water fountain is in, the sensible folk are achieving and those that play catch up are spending way more corporate investment on keeping up with the achievers and go-getters in Cloud and virtualisation. That sums it up in a nutshell but to simply write an article with less than thirty eight words isn’t going to suffice so let’s explore where the Cloud market is making active differentiation in the evolving dynamic world of corporate and enterprise computing. There are very few differences in the manner that eighty percent of global enterprises tackle enterprise computing challenges. No matter whether exponents of purely “Cathedral” type platforms and toolsets or the “Bazaar” model of entrepreneurial achievement utilising open standards and challenging established paradigms of development and provisioning by reasoned utilisation and embracing of community ethics and freedoms. I hope I’ve got that right or my ex VA Linux colleague Eric Raymond is going to be less than happy. I use the word geek in the heading above with due reverence, without levity as a badge of achievement. The difference is that in 1999/2000 a lot of the advisors who were often positioned or parachuted into new start companies using less “mature” developmental environments and an emerging internet were old school, 1980s/90s boardroom types, often expensive, entirely out of touch with working with dynamic energised folk who were capable at embracing tech but lacked maturity in corporate circles. Management came with money. I was there, I worked at Linuxcare from early days until I parachuted to safety to join the then ebullient VA Linux Systems. It was painful, it was replicated across hundreds of companies globally who all managed to burn huge amounts of funding rounds without generating products or significant revenue. A lot of the blame needs to be levied at the investors who handcuffed companies with legacy management who didn’t understand the gulf between founder management and couldn’t levy influence or control. In the Cloud arena we have more startup companies producing better product with better guidance from more savvy investor folk, if any of you have ever bumped into the electrically charged spark that is Satish Dharmaraj for example, my former boss at Zimbra (now with a well known VC team) will understand the mental picture I paint entirely. Satish I pick out purely as an example, he isn’t remotely alone in being a trail blazer, at Red Hat you can’t throw a pebble without hitting a key manager or thought leader whose role it is to identify talent and opportunity and then nurture it. We even invest in technology regularly outside of Red Hat. More importantly nowadays, most of these advisors attaching to first and second round funding have emerged from the Open Source community and are helping shape the direction that many Cloud startups are now able to follow. Thats a good thing. Lower burn rates, better code, better practices and revenue centric companies using Open Source as a base. For those basing companies on revenue (the small percentage) it’s even more impressive. However they ALL have one thing in common, they’re all aiming to be relevant. The number of times in recent months I’ve sat down with people in technology circles and talked open hybrid cloud, talked to them about how this gospel I preach weekly from my podcast pulpit of how at Red Hat we are working to demonstrate how we’re innovating by providing key RELEVANT capabilities. If you’re a listener to my podcast broadcasts I weekly try to provide you with balanced thought around cloud and virtualisation but with a passion that comes from a need to “do this right”. To stay relevant with the needs of my listeners. Arming, influencing, determining datacentre future behaviour and enterprise adoption of cloud across physical bare metal platforms, virtual, private cloud and public cloud with the Red Hat stack. Marshalling and creating the frameworks for growth that are significantly different from proprietary platforms such as VMWare and Microsoft and with more relevance (see it crops up again) to the problems that enterprise companies need to solve. 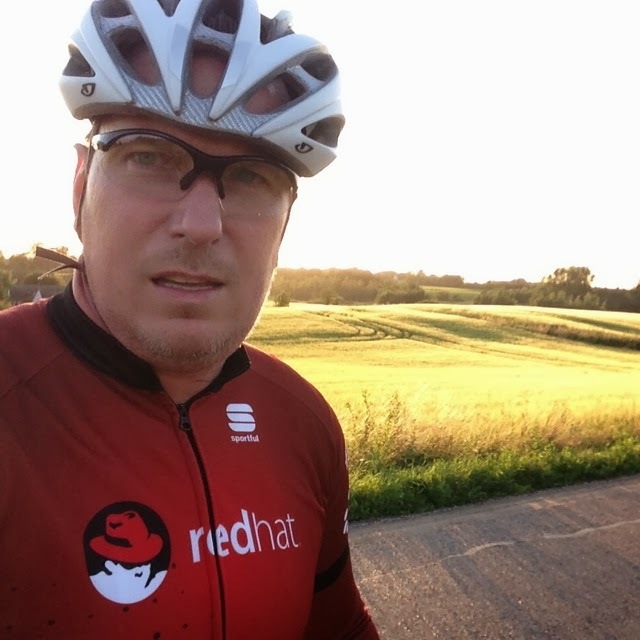 Built openly, built with focus around application development and portability underwritten by the glue that is Red Hat’s continued core open source belief as part of the fabric of cloud today. ISVs and startup companies who are aiming to be relevant and to drive product adoption and therefore revenue growth (either based on revenue or with the help of investors) are all looking to Cloud. Unless you’re doing this harnessing open technology, truly open source components and stacks you need to pay attention, you aren’t going to be relevant, and neither is your Cloud. If you want to know how this all glues together reach out to me and I’ll point you at some folk who will change and empower your needs in Cloud. If you’ve been on Red Hat tour or been to Red Hat Summit (the next kicks off in Boston at The Hynes Convention Center in a few weeks time) then you’ll be aware of the common sense relevance of what we mean by Open. 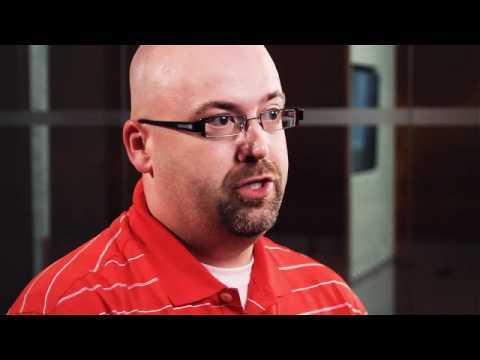 Red Hat – this is what we do, be open, be relevant and be part of the future of Cloud. Ignore me at your peril. In the mid 1970s one of Britain’s most eminent theoretical physicists, pioneer quantum physicist, pure mathematician, metaphysicist (now residing in New Jersey aged 89) wrote an article called “The Hidden Costs of Saying No”. That man was Freeman Dyson who to this day is one of the most forward thinking scientific engineers to have ever walked this earth. His work in nuclear physics and quantum computing all led to major advances in things that we take for granted today. The paper he penned in 1974 first crept across my desk as a student in the early 1990s and it’s as probably completely relevant today as it was the day it left his typewriter on that spring day in the mid 1970s. At the time I remember reading it as part of work I was doing around environmental technologies and investment in technology. Didn’t think I’d ever be pulling it out again but it’s pertinence to where we are today in Cloud is enormous. The argument made in the paper essentially argues eloquently that the price we pay for not doing something should be considered carefully during the decision process, I can pull some key phrases out the paper here – and thirty eight years on they still resonate and are applicable to technology processes today. In Cloud we have tangible decisions to take and those decisions impact on our core existing infrastructures as much as they do on our future road maps both for technology advancement and technology adoption. This also often the shapes of our businesses as we grow them either by harnessing more intelligent open ways of working. I am fortunate in working with some of the best and brightest from MIT and Dartmouth. I can count in my Rolodex (ok so artistic licence my email address book) some of the most capable technologists on the planet. We all, to a man (or woman) have grown careers and fostered approaches to our working days by sharing. We are daily creating pathways openly and in a community that stands up to be counted. In Cloud it’s no different. So we’re talking 2000-2, web based application development wasn’t in it’s infancy but the role of DevOps vs ITOps was a lot less equal than it was now. Silo’d mentality meant disproportionate decision making was often weighed to the advantage of the greater good rather than advancement. Open Cloud affords us now in 2012 the ability to utilise the best our developers can deliver and get that out in a safe and supportable manner and to do it using a range of tools, languages and libraries like never before – and to share this globally. I truly believe the last proprietary technologies we will see in the datacentre are VMWare and to a lesser much smaller extent (because of current adoption levels) Microsoft’s HyperV cloud technology. While you could see that as a contentious statement the law of diminishing returns dictates that there is less available funding for IT projects globally, that our masters and our consumers are more savvy and expect more for their pound, euro, dollar, rupee, yen etc. To critically be able to do more with less headcount to be able to maintain what we have but to get to the next level with regards to being able to harness and deliver against business need. I was at VMWorld in 2012 in Barcelona. I probably will be blackballed for writing this and not get invited back but it reminded me of the same sort of protective over arching ethos of the Windows shows circa 2000-2001. When BackOffice was most at its hyped. BackOffice was great for those who needed a GUI to provision a file and print environment – to stand up a SQL database, to provision a mail system. It was the defacto go to environment of choice for those that counted their technical staff’s prowess by the number of trained staff who could click a mouse and read event viewer without falling into a coma. It was point and click enterprise computing at it’s most basic supplemented by “developers” who using Visual Basic and Visual Studio took runtimes and libraries of precompiled and often MSDN sourced libraries in order to get applications and databases to work. It wasn’t cutting edge. It wasn’t innovative and it’s a reason many of these organisations and system integrators got left behind both in growth and revenue by the more savvy tech startups who went Open and used code from Red Hat and the Open Source community. For the companies that adopted an open strategy (the companies that have become the dot.com darlings and you rely on daily) they used Linux. They used Samba, they used Apache, they used Exim/Sendmail/Postfix for their mail as they spent money on people and research rather than on per seat licence or per mailbox licencing. They didn’t use Microsoft SQL or Oracle they just used MySQL or Postgres. The very rate they needed to develop using a paid for access model would have broken them but also the technology sucked (a lot) both from a performance perspective but also because you couldn’t get under the hood and tinker. They also contributed back – sharing information and sharing modifications for the common good. They challenged the hidden costs of saying no by embracing opportunity cost and common technical challenges rather than signing a EULA and waiting for the next MSDN CD box to arrive in the post. In 1974 as part of this paper Dyson stated “Technology has always been, and always will be, unpredictable. Whenever things seem to be moving smoothly along a predictable path, some unexpected twist changes the rules of the game and makes the old predictions irrelevant.” A more visionary statement you are less likely to find in any management textbook or MBA guidance. 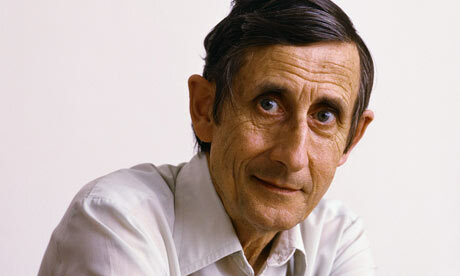 Freeman Dyson didn’t invent Open technologies but he does talk a lot of sense. At Red Hat we like to think that the paradigm shift that is leading us to Cloud has a backbone that is empowered by open creative technological folk wearing red fedoras that want to understand how you can get to Cloud today, securely safely and empowering you to be able to answer the difficult question you may face when positioning open technologies vs proprietary stacks. How much does it cost to say no ? After reading this article you should be able to answer a lot of that question yourself. Working with Red Hat we’ll help you get the rest of those answers using the knowledge we’ve worked on over the last thirteen years in the enterprise marketplace. I was also at GigaOM Structure in Amsterdam recently and Brian Stevens from Red Hat sat on stage doing a fireside chat and was asked the question whether Github was the new Linux ? The question made me giggle nervously as Linux is Linux – there was no polished answer but it relies on a company such as Red Hat and a thought leader such as Brian, Paul Cormier or Jim Whitehurst to continue to prove that our work and our mission statement shares the same punch as Freeman Dyson’s almost prophetical paper did way back in 1974. So this last month has been a lot of travelling, I’ve personally covered nearly 20,000 miles in a month and now I have a break for almost a month while I do other stuff. Never fear during this time there will be stories and podcasts appearing throughout, got a whole bank to get out to you and we do the iTunes launch about November 10th which will be a lot of fun as we ramp up. The podcasts are now approaching 13,000 downloads as an experiment before we even started to consider getting to iTunes syndicated RSS feeds. We had to get the content and tone right and make sure you wanted them in this format and the resounding reply from the community and readers is that it’s time to go mainstream. This week we were in the capital of the Netherlands, Amsterdam. As always a chance to talk to a lot of European technology folk specifically about CloudForms and Open Hybrid Cloud. Chris Wells was over from the US. You’ve seen Chris before on the blog – he’s “Mr Magic Hands” on the CloudForms video thats been downloaded / watched by over 900 people from this portal alone. He gave a talk during the week to a breakout group talking about Open Hybrid Cloud. It’s a talk I give a lot on my travels but as he wrote the deck and I simply do my impression of this guy from Ohio to the best of my abilities I thought it would be good to hear it done properly. By someone who has more fashion taste than I do and doesn’t just bludgeon you to death with slides and interesting Cloud ephemera. Recorded during a lunch session (apologies for clinking plates / glasses in the recording) I’ve also had to try and mix / amplify / blend in questions from the room as best I can. So if you’re interested in Cloud and Open Hybrid Cloud this one is definitely worth a download. There is a slidedeck that you’ll need to download in Acrobat PDF format alongside the audio and you can grab that here or the recording will make no sense.